Remember the posters for Iron Man 3 and Thor: The Dark World that had the female lead clutching the male protagonist for dear life? 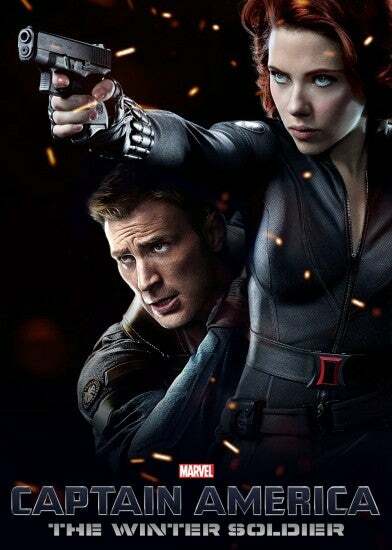 Well, bootycap (by way of The Mary Sue) has turned the tables in this new poster for Captain America: The Winter Soldier. Is it me or is this actually a pretty good poster? I mean, it's obviously making fun of Marvel's previous promotional art, but it's also kind of legitimately badass.